Designed for use on the production shop-floor with incredibly advanced metrology capabilities, OGP’s SmartScope® CNC range generates multi-sensor measurements, maintaining the highest levels of accuracy whilst withstanding the most hostile of environments. Generation of automatic component measurements alongside multi-sensor deployment mechanisms allows for unmanned inspection and high component throughput. Ideal for automatic general purpose dimensional measurement processes, features include a high-quality 12:1 zoom lens that calibrates itself during magnification changes for consistent measurement accuracy, alongside illumination sources, colour camera, and your choice of suitable software packages, make every CNC model a powerful video measuring system. All CNC models are capable of supporting multiple sensors such as touch probe, laser scanning, and micro-probes. For shop-floor quality control that’s accurate, fast, reliable and automatic there’s one guaranteed solution, that’s the OGP SmartScope® CNC. 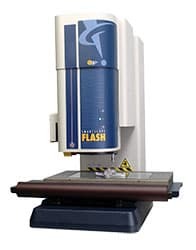 SmartScope® Flash™ CNC 200 – the smallest member of the Flash CNC family of systems – is a full-featured automatic measurement system. Innovative design features of “elevating bridge” and an embedded computer mean the system takes up little space on a benchtop while providing an ample 200x200x150 mm measuring range and extensive measurement capabilities. 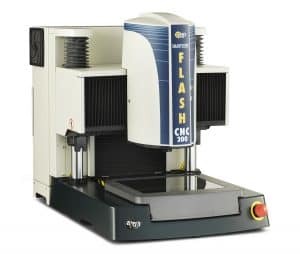 SmartScope® Flash CNC 200 has patented innovations that let you do more, and do it faster. The computer controlled LED array backlight tracks X-axis motion of the optics with no moving parts. SmartRing™ light is standard for the ultimate flexibility in surface illumination. SmartScope® CNC 250 is a compact machine designed for easy access to the XY stage for maximum fixturing flexibility. 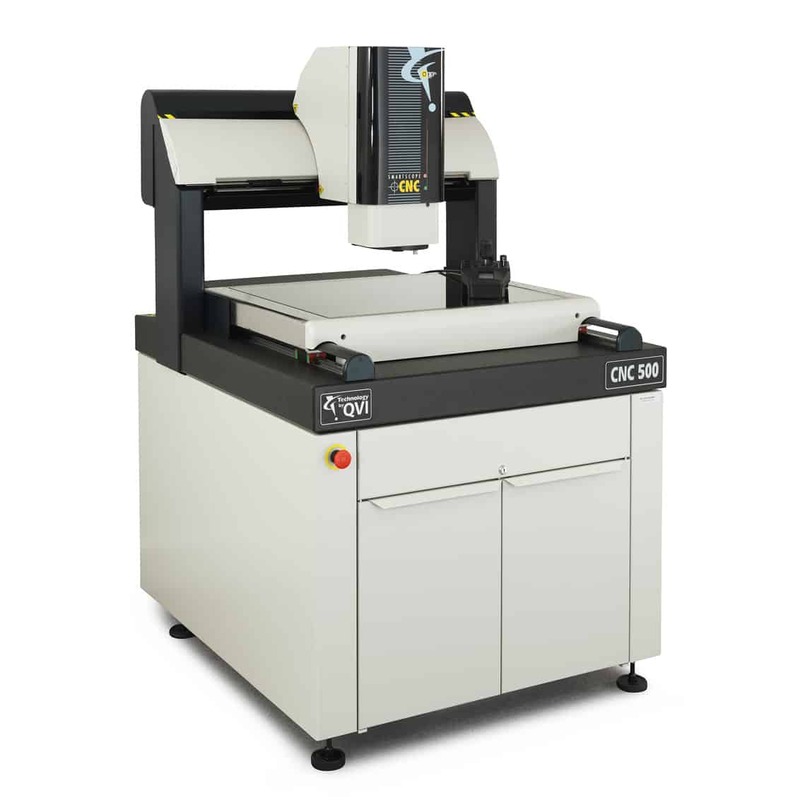 Its large 250mm X travel makes it the system of choice for measuring critical dimensions of long parts on a benchtop machine. Its heavy cast base and rigid steel column provide metrology integrity so accuracy is maintained in real-world environments. CNC 300 is one of the most versatile benchtop systems OGP offers. With an expansive Z-axis of 250 mm (10 in.) to accommodate large parts, it combines state-of-the-art video and autofocus to deliver high productivity. Add optional through-the-lens (TTL) laser, touch probe or micro-probe to configure a highly capable multisensor system. The SmartScope® CNC 500 offers all the great CNC features and performance in a large travel bridge-design system. Parts move on a precision DC motor-driven Y-axis stage while the optics assembly travels in the X-axis across a stable bridge cross member. This design assures rapid, smooth part translation and robust measurement performance. An extended Y-axis travel of 610 mm is optional. The SmartScope® CNC 670 provides a large measurement volume through its moving gantry design. The instrument head traverses a rigid granite rail in the X axis, while the part moved in the Y axis. The entire unit is mounted on a granite base for maximum measurement stability. 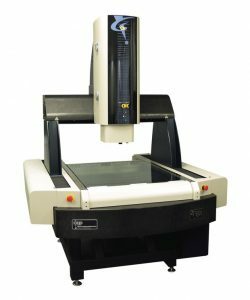 SmartScope® CNC 1500 is a floor model measurement machine where the instrument head moves in the X axis across a steel bridge while the entire bridge moves on parallel tracks in the Y axis. 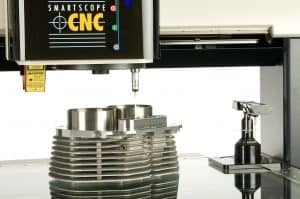 The large measurement range of the SmartScope® CNC 1500 accommodates large parts, such as LCDs, plasma displays, circuit boards, and multi-component fixtures. 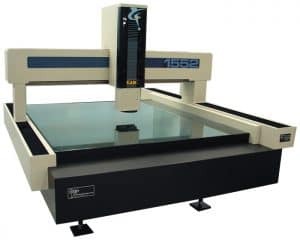 SmartScope® CNC 1552 is a floor model measurement machine with extended X and Y travels where the instrument head moves in the X axis across a steel bridge while the entire bridge moves on parallel tracks in the Y axis. 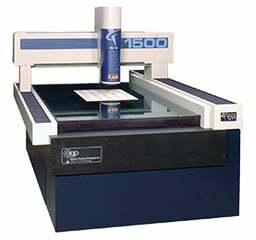 The large measurement range of the SmartScope CNC 1552 accommodates large parts, such as LCDs, plasma displays, circuit boards, and multi-component fixtures.